Crete. He attends school in the town of Aghios Nikolaos and gains a scholarship to the Gymnasium in Heraklion. an archaeologist. He is admitted to the local hospital for treatment and subsequently transferred to the hospital in Athens. The conditions in the hospital are appalling; overcrowding, lack of amenities, poor food and only basic medication. 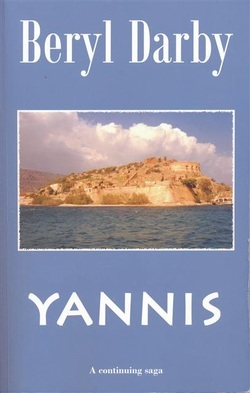 The inmates finally rebel, resulting in their exile to Spinalonga, a leper colony just across the water from Yannis’s home village. for survival his loves and losses along with that of his family on the mainland from 1918 to 1979. All the events described are true. The school teacher who became the Mayor of Heraklion is entirely fictitious, as are all the characters.